“The Frenchman was wearing his helmet. There was not a scratch on his face," he said. 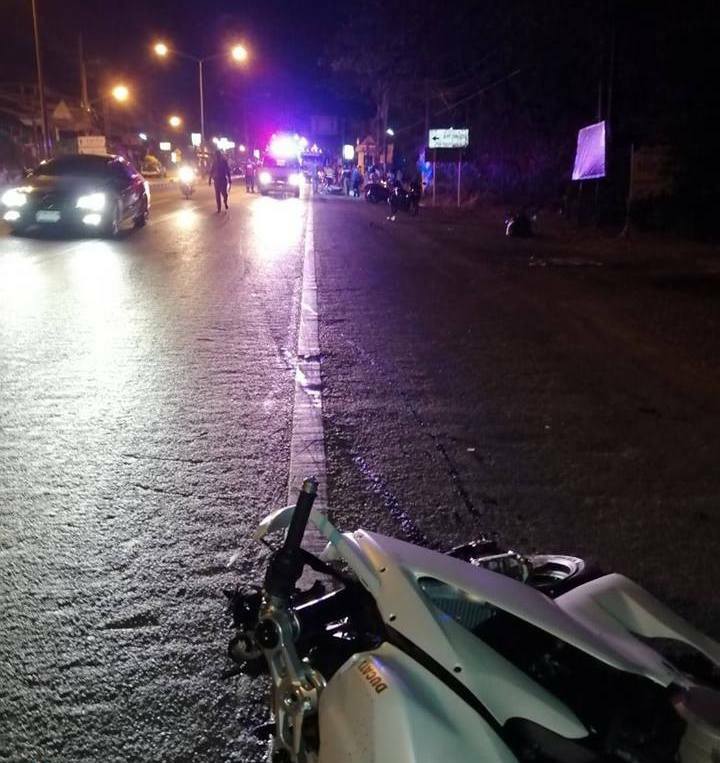 Capt Somkiet also confirmed that the woman who was riding as passenger on the Ducati motorbike remained in critical condition at Vachira Phuket Hospital. “I have not been able to ask her any questions about the accident,” he said. The police investigation into the accident is continuing, Capt Somkiet assured. “The blood-alcohol tests have yet to be reported. I am still waiting for the results from those tests," he said.